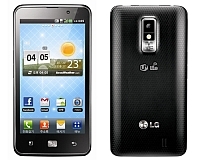 South Korean electronics major LG has unveiled a new smartphone called Optimus LTE that runs on 4G network in its home market. The new smartphone joins the small line of 4G mobile handsets currently available in the world and sports an Android 2.3 (Gingerbread) operating system. 4G is basically the fourth generation of cellular wireless standards after 2G and 3G and offers much faster data transmission (among other things) than any of its predecessors. While 3G speeds currently max out at 14Mbps (for downlink), with 4G speeds up to 100Mbps (for moving user) and 1Gbps (for stationary user) can be achieved. Other 4G mobile phones currently available include HTC EVO 4G, Samsung Galaxy S II LTE and HTC Thunderbolt among others. Since Indian telco's are still in the mode of launching 3G services in the country, don't expect to get your hands on this phone anytime soon. Indian carriers are unlikely to launch 4G services in the near future, so even if you manage to get one of these devices, you may not be able to play around much at super fast speeds. The Optimus LTE comes with a 4.5 inch True HD IPS (in-plane switching) touchscreen LCD display (developed in close collaboration with sister company LG Display) which according to the company will offer more information at a glance with 1280x720 high definition pixel resolution and 16:9 screen viewing without distortion (the same standards used in the TVs). The display also has 329 pixels per inch (ppi) real RGB resolution, displays true natural colours and automatically adjusts colours (by LG's mobile HD graphic engine). "High resolution displays on smartphones are becoming even more necessary these days. LG Optimus LTE is the first smartphone in Korea to offer vivid and clear HD content on a 4G network," said Jong-seok Park, President and CEO of LG Electronics Mobile Communications Company. The mobile phone runs on the Android 2.3 (Gingerbread) operating system and is powered by a 1.5GHz Scorpion dual-core processor. It has 1GB of RAM and comes with 4GB of internal memory that is expandable up to 32GB with a microSD card. Additionally, the handset has an 8 mega pixels auto-focus rear camera with LED flash that can record full HD videos (1080p) and a 1.3 mega pixels front facing camera. It also has an HDMI port and supports DLNA, which enables file sharing between other DLNA devices like TVs. The mobile phone comes with a stereo FM radio, has Bluetooth and Wi-Fi and comes with a 1,830 mAh battery. There is no doubt that the new mobile phone is a good one but it is the display that actually catches the imagination. The resolution and pixels per inch is even better than the one offered by Apple on their new iPhone 4S. While the iPhone 4S offers 960x640 pixel resolution at 326 ppi, LG's display offers 1280x720 HD pixel resolution at 329 ppi. Also Intertek, an international product testing and certification agency, recently pointed out in a report that IPS displays perform better than AMOLED in areas of colour accuracy, brightness, battery efficiency and performance, therefore making the True HD IPS display better than most of the displays offered on mobile phones today. As of now, there is no news available about Optimus LTE's launch outside Korea. But keep track of this space for more on the same.